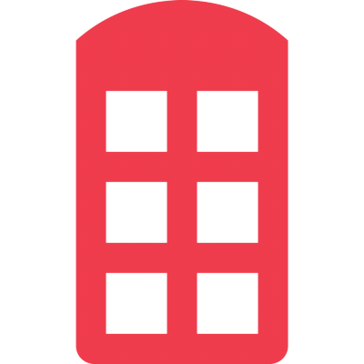 "Great remote project management tool"
Redbooth is a great project management tool. It was already at its start as Teambox. It serves it's job perfectly fine and it's free for small projects with no need for real time collaboration. Well done! I'm not particularly fond of the new UI, which I find a bit confusing. Keep trying, though! As a remote developer, I need to manage long term projects and relations, including support, with a channel better than email. Redbooth helps me just right for that purpose. 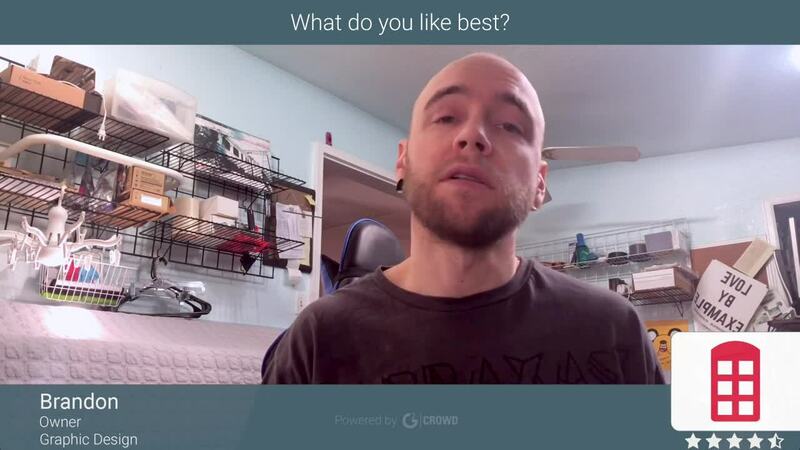 "Favorite Project Management tool ever used"
"Perhaps the Best Project Management Tool Available"
Redbooth is overshadowed by the popularity of other team/project management tools. The reason for this perplexes me, as Redbooth is significantly better than the competition. Redbooth has all the features of competing tools, but with a better - even beautiful - interface. Redbooth offers web browser access, as well as apps on Windows, Mac, iOS, and Android. I would never recommend any other tool more than Redbooth. A free plan is offered for you and a colleague to try. Paid plans are fairly expensive. Generally this shouldn't be an issue for a profitable business, but those looking to use it for hobbyist and non-profit projects might find it a bit taxing. Try the free plan. I strongly doubt you'll be disappointed - in fact you'll probably be impressed. Redbooth has allowed me to keep my work perfectly organized - meeting deadlines and keeping track of complex projects with dozens of concurrent tasks has become extremely easy. "Redbooth has been great for us"
We were drawn to Redbooth because it felt very robust and feature-rich, while still being very easy to use. It had many of the features I was looking for such as task dependencies, a gantt chart, card style workspaces, subtasks, good notifications, and easy uploading. In our research, a lot of others project management tools had these, but they didn't feel as engaging to use as Redbooth. Now that we've added more complexity to our workspaces and have scaled our projects, I'm finding that I rely on the calendar view more often. The calendar feels like this least developed aspect, as it doesn't have great filtering or drag and drop capability when we want to move tasks a few days over. Color coding labels would be nice as well. Our communication, organization, and productivity have skyrocketed since using Redbooth. We're getting more done and doing it more efficiently. "Best Task Management Platform Out There"
Current Task List and Check Lists are the two big things for me. Current task is efficient, clean and easily organized and checklists for the card tasks makes sure everything needed done is done. Oh and templates! Being able to quickly copy from a core template for any task or board is such a time saver. Nothing, I love it all. I've tried the majority of other services and while they get some things right, Redbooth gets the most things right for how I approach, manage and store information for projects. The only thing I can think of is an extra board or two for the free version since it is limited to only two. If your not sure, try all the others and then try redbooth. You won't go back. I work as an indie contractor and directly through multiple agencies. The agencies that use Redbooth never have an issue with task management or missed updates. Once they allowed the free version to utilize checklists I was able to use it for my independent work. Now I only use Redbooth, no matter if the project is indie or for an agency. I keep my own set of data and project management lists and never lose a thing. "An exceptional organizational tool "
As a freelance copywriter with multiple clients, keeping track of deadlines can be tough. Redbooth has been invaluable for working with my largest client who is VERY organized and plans out projects weeks in advance. I can easily skip ahead if I have the time or want to do so. One of my favorite features is being able to talk to other people on that specific project right there, plus it's easy to move it on and assign it to the next person who needs to review it or work on it. It can be tricky to get the hang of using it at first. It's a great organizational tool for coordinating projects and people assigned to a job. Project organization, coordination, and job flow. It helps keeps things on track better and reminds me when projects are due, overdue or where they are in the approval process. "A great way to organize and prioritize complex projects"
I especially like the timeline view. It is helping me become more realistic about the amount of time I need to complete certain tasks. The ability to create subtasks and task lists is very helpful. When I get stuck on one aspect of the project, I can easily see other tasks that I can tackle to keep the project moving forward. I wish there was a way to share your workspace with one or two other people when using the free version. I wanted to share my workspace with my dissertation advisor, but had to pay to add her to my workspace. It is different if you a coordinating a team, but for just sharing your progress, there ought to be a limited way to do that. Much easier to use than other project management tools I have tried. I am actually getting things done with Redbooth and had virtually no learning curve. I tried trello, MS Project, and Wrike, and just couldn't seem to get my project entered effectively into any of them. Again, the ability to see a huge project in terms of smaller steps helps me to stay motivated and continue moving forward. "Love Redbooth! Fighting to keep using it at my company." The horizontal nature of some aspects of red booth. When some sections and tasks disappear when marked as complete - sometimes we need to see at a glance that some things have been completed. Try it out - and make all of your company use it the same way. We have people who don't like some aspects of it so they all require different ways of working. It's frustrating because red booth does everything we need it to do, but my coworkers refuse to put the work in. "Well rounded project management system"
It's a user friendly system that new team members can quickly jump in and understand the project. I would like to see a way that project start dates show up on your dashboard in an easier to see way. I sometimes have the issue where I forget about a task until the due date, when I had the start time a week earlier knowing that I would need additional time. If your whole team is on board - it works great. But without everyone buying in, it won't alleviate the issues you were having. less emails!! I love that managers can log in and see where you are on a project and not have to send dozens of emails. The fact that timelines can be assigned to task and also prioritize them. Am able to assigned tasks to not only my reports but also my supervisor for review. Redbooth is so convenient to use and help manage task. Am able to see when task are accomplished. The sub task component is also very goo. It help assign components of a main task to different people especially when ones input is dependent on another output. Most of all is the reporting part where one can pull a report on the level on task created, task resolved, task pending and even task left opened. Red booth has been very helpful with project organization, coordination of tasks, and job flow. It helps me keeps things on track better and reminds. Notwithstanding, my supervisor is also ab;e to monitor me on red booth through task assigned. She can tell what am doing am doing at any point in time and even make recommendation as to what is urgent from her point of view. I am glad I was introduced to red booth and I find it very useful. I wish I can get reminders in my email to signal when deadlines are almost due for my tasks, this will very helpful to track and help re-prioritize tasks. While am still new to red booth, I have already recommended this to friends and other companies, and as long as it is very helpful to e, I will continue to recommend it. I like that it allows my coworkers and me to work on projects together. It allows us to track progress and add notes as we go. Since our team lives all across the country and Redbooth makes it so much easier to collaborate with each other. It is also great that HD video meetings are integrated with Redbooth. You can schedule meetings right away or schedule them to repeat. This makes a great way to set up a virtual office. One of the few downsides is that the desktop version has some issues with the filter option when in the workspace view. Also when viewing tasks sorted in certain ways prevents you from organizing it the way you want. Definitely learn about all the features before use. Such as uploading spreadsheets to set up tasks. Also, carefully consider how to set up workspaces. This will make it easier to work within those workspaces. When the workspaces are organized well it eases the ability to work. Conference planning is a large part of what we use Redbooth for. It is also a good way to have a client follow-up database. We use it to track calls and emails with new clients. "The best program for everyday work"
It's really easy to see who is assigned to what task, assuming everyone has uploaded profile photos. Integrations with Google Drive, Slack, and Dropbox. With detailed task management, communication tools, and flexible reporting, it's everything you need to keep your projects on track in an easy-to-use interface. I recommend it without hesitation. An efficient team coordination. Keeping in touch with the team and create/update tasks. This is specially important for teams who are dispersed (different cities, different timezones, ...). Esta es una excelente forma para organizar avances con tus colegas, me puedo orientar al principio de cada día y optimizar muy bien todas las tareas , al final comparar que tanto he avanzado y que tan retrazado podria estar. en general todo es magnifico, pocas cosas me disgustan, sin embargo pienso que podrìa ser un poco más amigable en lo grafico, un poco mas dinamico a la hora de cerrar y abrir nuevas tareas, asi tambien la administracion de estas. comunicaciòn y revicion de adelantos. "A great tool to use for our team"
It's super easy to work and collaborate on projects together. You can easily assign tasks or projects to other colleagues, and see how other projects are going. I like that you can add subtasks to the tasks, so it makes it very easy to be as detailed as you'd like. Nothing really. Can't think of any improvements I'd like to see. As an international company, we have some team members on the West coast of the US, that have to work together with teams in Europe. Due to a very limited time overlap of our work hours, Redbooth really helps us work on projects together. "A grate task management platform "
I like how it shows the tasks for me. And how easy it is to followup and check what you need to do next. Also, I like that it is possible to make task templates for the repetitive task, that really helped us and saved a lot of time. furthermore, I like the ability of sharing google drive on it. There is Nothing actually to dislike. I like it all. I only wish if they add the ability of assigning users to a template list of tasks. It is a very good solution. Give it a try and you will see how Redbooth can help you organize and manage your projects. It helped us on following up all the project, setting a timeline for each project, and getting back to review any task when needed. I like the ability to create to do lists and tasks for a team. I like the way updates are streamlined, as well. The program isn't the clearest or most user friendly layout. I find it difficult to know the difference between noting that an assignment has been completed or deleting a task. To wit, I think there's a key comparison between Redbooth and Slack as organizational programs, and I would suggest testing both products to understand which is more effective for your organization. Organization and management are key to developing our business model, and we have used Redbooth to begin that development with key tasks assigned to different partners. "Task Managements Couldn't Be Better!" The simple way of managing tasks, assigning them, adding due dates and following up. I also like the to do list, it's the first thing I have to see in the morning to know what should I do today. I didn't like the new colors in the last update(I think it's purple). I prefer the old colors (The blue). It makes tasks workflow easier to follow. To know which task should be done, by who and when it should be done. Also to determine how urgent the task is and when it's due date. "Great for reoccurring tasks and team coordination!" The ability to easily assign tasks to one another and track the activity, even see the history thereof. Not the best UI, app is not super user friendly overall. Explore the features, including the calendar and don't give up on it until you've run it through its paces for a couple months. It allows us to track tracks and serve as a task manager tool while also handing off tasks when others will be out of the office. As a manager, it gives me the "higher level" view of where all my team stands on completing their tasks. "Best project management software out there"
Easy to use, great UI, clean. I spend way less time in email, less time managing clients and more time working on projects. Our clients spend less time collaborating because Redbooth makes everything simple, transparent, and straightforward. I haven't used the app for awhile because it was slow and buggy, but that may have changed by now. The dashboard view was also changed recently and I strongly prefer the old view. More people should know about Redbooth. It's the superior project management software out there, and I would recommend switching if your current system isn't working, or if you're still using email...it's an easy decision. Redbooth saves our clients and my team an enormous amount of time. We're able to get things done faster, with fewer headaches and less email. "Increases productivity: we're happier and our clients are too"
We can keep track of everything and nothing falls between the cracks. It's really easy to use and we can tailor it to our own needs. And the support, when needed, is excellent. The only weakness is detailed capacity management, like when the studio is so busy that we have to manage what each person is doing every hour. I wholeheartedly and enthusiastically recommend Redbooth. It has improved the management of projects and workflow in our agency, making us more efficient and effective, therefore being able to deliver better work for our clients. Everyone's happy! Project management, workflow, task allocation, keeping track of new business. We use it in part as a CRM. "Really useful for translation/edition projects"
It's easy to have several projects and tasks. Also, this tool is really useful to manage production schedule and exchange versions and update of a document among team members in different regions. I also love the fact that I can copy tasks in my to-do lists. We don't have a lot of option to customize the account once it's created. A colleague did not create a designed username and can't change it now; it can gets confusing. It's a great tool, as long as everyone else uses it too. Great for both day-to-day tasks and larger projects. This tool is great to manage content for multilingual-content Website. We can easily know who's working on what, follow the status of the content each of us is working on, etc. Thanks for the review! If your colleague is still trying to change their username, we can show you how. Check out this article (https://support.redbooth.com/hc/en-us/articles/115000242491-Change-Your-Name-in-Redbooth) or feel free to reach out to us at support@redbooth.com. "An intuitive team task manager"
Redbooth simply works the way you expect it to. I have brought 2 coworkers on board and found it easy for them to get up to speed quickly. It handles tasks sorted into boards, which are themselves part of workspaces. Most things you'd expect to do with tasks (assign them, set a due date, add notes, etc.) it handles easily, and they obviously spent a lot of time refining the UI/UX as things simply work well. The pinnacle of its user-friendliness is the split page you see when you log in -- on the left you have a Notifications Pane, and on the right you have upcoming tasks due. We've found this to be a great way to stay on top of what the others are doing. There are a few bugs and annoyances here and there (i.e. repeating tasks do not like to be deleted) but most of them can be worked around. The shared opinion in our office is that the notification settings are either too high (flooded email inbox) or too low (almost none). This is a great software to quickly get people communicating on the same page. There will inevitably be some missing features you desire or some small frustrations, but nothing that makes the experience overly frustrating. Redbooth helps us keep our team focused on shared projects, even when we aren't all working from the same location or on the same schedule. When we have meetings, we have one person designated as the recorder who adds all the to-do items that arise directly into Redbooth. When we can't meet, creating and assigning tasks keeps us moving forward. "Porgrama para la gestión de proyectos"
Puedes ir introduciendo cada uno de tus proyectos individuales o de equipo con tus compañeros, cada proyecto aparece en una línea diferente a la cual le puedes poner lo colores que quieras y regular los diferentes proyectos en los que tengas que trabajar, tanto en el pasado, en proceso o del futuro, ya que puedes ir indicando las actividades y las fechas de entrega de cada parte. I love the organization by date and the search function that allows you to find any task. I would like for it to flag old dates in a different way so that they can be updated or resolved instead of just hanging out there and getting lost in the shuffle. Allowing our team to connect from all over the country and the world is the greatest benefit .We are able to work like a well oiled machine when we all use Redbooth. "The best task manager and team on the market"
the way to manage tasks is very comfortable, the way to separate work teams allows you to divide efforts and get more out of your work teams, the most interesting thing about this platform is that it is in responsive mode which also allows you to Manage from your mobile phone or tablet, you can upload different types of files to the history of the task. I really do not find anything that I do not like about this software. The interface is very nice and eye-catching. You can chat with your work team. I do not find weaknesses in the fulfillment of all its functions for which it is designed. manage work teams, this allows you to assign tasks in the most efficient way possible, so you can monitor what tasks are the members of your team and what is its scope so you can get more out of the people that make up your team work, see dates of deliverables, progress of a task, the problems raised during them. "A Calendar We Can Follow"
We've struggled with finding the best way to keep track of tasks and when everything is due. We started utilizing Redbooth a couple months ago and it really helps us stay organized and on task. The gant chart is great and provides even better tracking for each member along the journey. The side to side scrolling when in the task area. I understand its purpose, but I almost would rather scroll down to see than keep going to the side. While it is important to list the tasks make sure you add due dates even if only tentative. Also, try to look at the gant chart because it really shows you a lot more. And lastly, don't forget to sync Redbooth with your calendar that way you will NEVER forget an upcoming deadline. We needed to solve our organization problem. While we had great ideas we were never fully integrating them or completing them so we needed a solution to keeping on track of everything. "Saves hours a day and days/month on projects." This platform is a powerhouse, but so easy to use. Because chat, online meetings, screen sharing, and conversation within tasks are all included, it's rare that we need to rely on collaboration tools (other than Google Drive). That alone saves so much time and confusion. But, with all of the features and flexibility (this really is an all-in-one project management solution), it's incredibly easy to use and the interface is simple and beautiful. Visual clutter is so distracting, even disorienting, but you don't get any of that with this tool. I would really love to be able to assign multiple task owners to the same task. There are simple workarounds, but none as simple as multiple task owners which we're anxiously anticipating. Spend an hour learning how to use it and getting set up. If you don't fully commit (stop using email or other project management software and put as much of your tasks and projects as possible into Redbooth, then your workflow will double in complexity. If you fully commit you'll see results immediately. Make sure your team is on the same page and you try completing a small project start - finish all from within Redbooth. And, take advantage of the online meetings as soon as possible! - Creating repeatable processes. We no longer reinvent the wheel every time there is a new project — it's all in Redbooth. "Using Redbooth on multiple businesses "
I really like how it allows me to organize all my tasks in an efficient manner. My workflow has improved greatly, and the time I spend organizing my tasks makes up for the time I would've lost if I didn't do so. I don't dislike anything about Redbooth. Take time in designing an organization system that will fit your needs. Yes, you can create workspaces, taks lists, tasks, subtasks, etc., but organization is key. You're not going to have the same task list structure for every workspace, so taking time and thinking about what's the best layout for your project will save you a lot of time. We use redbooth to organize the different projects we have. This allows us to communicate with each other, know the state of the project and how everyone is doing. The main benefit we've noticed is that since we now have everything correctly organized, we don't have to spend time figuring out how the project is doing, how many hours each person has contributed, etc. We can now do it with a simple click. "Helps Enable Faster Meetings and More Accountablity"
Keeping people on track with assignments and making it easier to contribute to assignment. Because there is public accountability it keeps projects on track. "Redbooth is a helpful tool for time management and productivity. " I love that you can have different work spaces and assign tasks. There’s not much to dislike, however, if I could change one thing it would be how tasks are checked off. I tend to accidentally check the wrong box when doing multiple at a time because it loads in a the next weeks’ task. We use it for accountability, productivity, collaboration, and organization. Keeping on top of actions and notes about projects, we're starting to get deeper into it now, and really getting efficiencies out of it. It's also allowing us to work from anywhere and folks can easily see where everything is at. With a few casual staff as well, it's easy for them to come on site and just get stuck into their workload. "Easy and efficient project management"
Redbooth is very easy to adopt, and easy to use even for team members that may be resistant to change (and prefer emailing). I like the ease of creating project templates and re-using the template. I also like being able to easily see all tasks that are done and due on a team. Our plan runs out of room for attaching files, so we need to use another file sharing service. I imagine you can add more room, but it probably is pricy. Play around with it, and make a big push to get all teams to adopt. Once everyone is on it, it will become clear that it is more efficient and people will prefer to use it over email. Our team emails less and it's easier for managers to have a holistic view into their team's workload. Great way to organize tasks! It allows each of our team members to organize tasks the way it works best for each one. Big and small tasks get solved effectively. Redbooth has so much to offer that makes it a bit complicated to keep up. Give it a shot. You will be gladly surprised. Small tasks used to slip. We were so busy solving other important and time demanding tasks that we would forget those little ones that always make a big difference. We now have them all organized and it is easier to follow up. I like the ease of viewing my dashboard of tasks and calendar integration. Overall it's easy to use compared to other project management software I've tried. It also seems to be more affordable than the "leading" one. While it's more affordable than the "leading" one, I also find it lacks few features. Namely an ability to move or not move following milestones once one date in a project is moved. I also find the gmail calendar integration to be buggy. It doesn't seem like tasks move on the calendar when they are chance in the app. I think for orgs who are trying to push all communication out of email and into red booth an out of the office autoreply might be nice. I think it's one to consider. It seems to have most of the features the big ticket tools offer, and a lot more features and it's more intuitive than some of the free ones. I think people are becoming less silo'd. I als think projects are coming in on time more often or if timelines change we all hear about it more. There's more transparency as well so we can avoid having to be the "bad guy." It's all there. "An alright basic tool, but clunky to use and heavy on the notifications." When I used Redbooth, I appreciated the ability to create templates for tasks and easily assign them, mark as complete, and close projects. Redbooth is a fine introductory tool to project management in your organization. I found it to be clunky and quite limited in its ability to facilitate collaboration. This was likely a mix between the product's limitations and ineffective implementation uniformly across the team. I primarily used Redbooth to project manage on a blog or to collaborate between different teams in the marketing department. "Its a Game changer. " "Easy to use internal project management tool for large and small projects"
Notification system works really well. That is where I start my day. Love the fact that I can close the notifications that I have worked through or leave them available if I have not finished responding or taking action against them. Not a great way presently in my workflow to assign a time estimate and see whether or not my day is under or over-booked in regards to task load. Be sure that your team is on the same page in terms or process. You can have the best tool in the world but if you all are not approaching it the same way it does not help that much. We use RebBooth for small and larger projects. The benefit of having the entire team in one tool is massive when we are all using it the same way. We can pass and communicate well on large and small tasks. 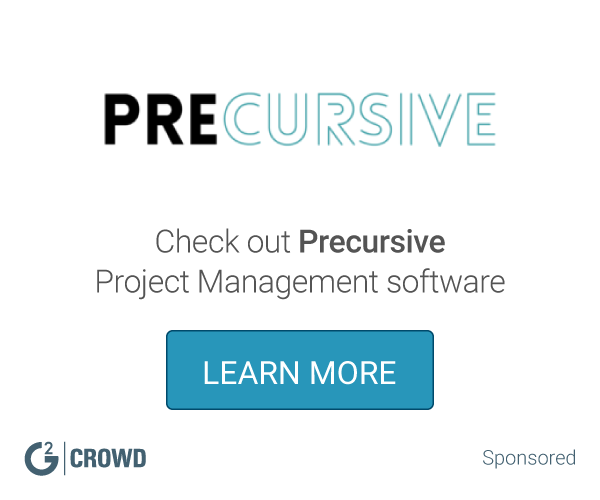 "Good for Project Management not Ticketing"
This is a great project management tool. We tried doing too much for something that wasn't designed for and was successful, but could tell that wasn't the main use. This tool allows me to easily communicate with and manage my worldwide team of workers. Redbooth emails sometimes have glitches, and in particular sometimes I add people as watchers to tasks - and they disappear as watchers, without anyone having removed them. It is frustrating. We are solving the problem of how to easily keep everyone working on a single task updated. We are a company of exclusively remote workers so having a tool like this is crucial to the functioning of the company. "The best tool i could find for my creative agency "
collaboration in house and with clients. everything in one place. Great for start ups need to stay organized. "Great system for keeping up with tasks!" "Excellent team progress tracking tool"
Maybe, not being able to integrate with slack. Add integration with other platforms such as slack. Keeping track of tasks and the time it consumes for each one to accomplish. Thanks Alejandro for the kind review. We have good news for you! We have a Slack integration. You can learn more about the integration here - https://redbooth.com/integrations/slack. Someone from our success team is reaching out to help you get connected. Hope this makes your Redbooth experience even better. It's a very simple, but organizational powerful tool. Scrolling to the left to view when in task list view. The tracking of event crews, hotels and hotel agreements, catering, and other event/television production coordination aspects. "Our Go To Project Management and Collaboration Platform"
We've been using Redbooth at our agency for the last couple of years and love it. We're able to create custom workspaces for each client and projects, assign tasks, and collaborate on projects with built in chat and video conference meetings. Prior to using Redbooth, we got caught up in long email discussions, and tasks got lost lost and fell through the cracks. Now, we capture everything in Redbooth, and my team knows exactly what needs to get done when. They even have gantt charts which show your projects on a timeline. For a while we really wanted a gantt chart feature, but they added it recently, so we're very happy with the product. Redbooth improves our team productivity, organization and improves our communication with clients. If something doesn't go under a specific workspace and is more general, it's a little more difficult to incorporate. It also seems to prefer tasks with hard deadlines, while a lot of what I was working on didn't have a specific "due date"
The best feature of Redbooth is to be able to see the MONTH view and easily see all of your project due dates / milestones. The pricing. Seems like all the vendors in this category called each other and said "let's set the price" at 5 or 6 bucks per user per month. This help us collarborate and schedule our bidding process. "RedBooth Makes Our Company's Workflow Work Seamlessly"
Everything from adding colleagues to projects to setting due dates works very smoothly. I wish messages to me have a Reply button. Working on multiple projects at once. The organization of multiple organizations and multiple projects under each organization. There's not a lot I don't like, it could improve on its ability to see a gnat chart view. Also would love to be able to mark a task as "unread" so it shows up in my notifications. Anyone looking to manage multiple projects and clients through a single project management tool. WordPress Agency managing multiple companies and projects within each client company. The tracking of tasks and their status reports. Task assignment, prioritization, record keeping. Ease of use and e-mail and website compatibility. Customer service is weak - there are bugs. Communicating with the team for assignments. Thanks so much for the 5-star review! Just wanted to let you know that we've expanded our customer success team recently and would love to help you with any product concerns. Also feel free to report any bugs to support@redbooth.com, we really appreciate user feedback! * We monitor all Redbooth reviews to prevent fraudulent reviews and keep review quality high. We do not post reviews by company employees or direct competitors. Validated reviews require the user to submit a screenshot of the product containing their user ID, in order to verify a user is an actual user of the product. Hi there! Are you looking to implement a solution like Redbooth?